Google continues to add street-view imagery for 6 new US cities, even after Immersive Media announced it will terminate the content license agreement at the end of the year. The new cities are: Chicago, Phoenix, Tucson, Pittsburgh, Philadelphia and Portland (the first three cities have high-resolution images). 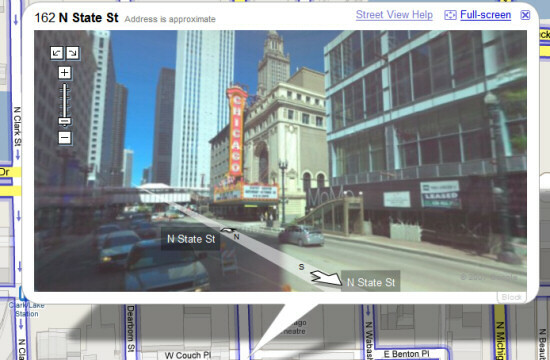 Google Street View now covers 15 cities in the US. "Ever wish you could pan up to the very top of a 50-story skyscraper using Street View? Well, prepare yourself for some serious sightseeing; we've introduced the ability to pan up in most new cities," announces the LatLong blog. A good example is the Sears Tower, the tallest building in the United States.